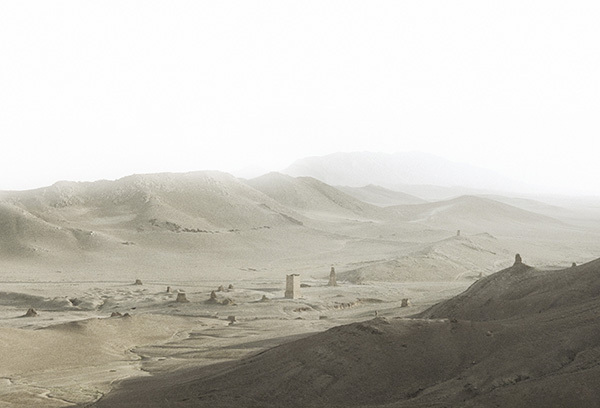 This panoramic view captures the sweeping valley bordering the ancient site of Palmyra, Syria, where tower tombs stand as memorials to the dead. Though the color palate of the C-print is monochromatic, the scale of the tombs demands attention as they stand out against the surrounding rolling hills, communicating an aura of greatness, a sense of power, and a gravity that demands recognition. This photograph is currently on display as part of MONUMENTality through April 21. Gallery tours are offered on Tuesdays and Thursdays at 2:00 p.m. through April 18. In accordance with the 2018/2019 scholar year theme, MONUMENTALITY, this symposium considers topics related to monuments and the monumental with scholars addressing fundamental questions of art and architectural history such as size, scale, and cultural memory. The subversive potential of monument making; the role of monumentality as a tool for nation building; and the monumental in large-scale infrastructure buildings, sculptures, installations, and other mediums are among the topics that will be discussed. Over his 50-year career, Los Angeles architect Pierre Koenig not only designed iconic houses but also oversaw their restoration. 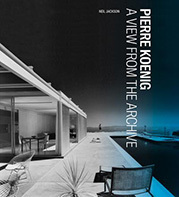 In his book Pierre Koenig: A View from the Archive, Neil Jackson uses Koenig's drawings, photographs, diaries, and building contracts to present a vibrant profile of the famed Californian architect from his beginnings in San Francisco through his later award-laden years. 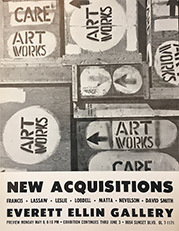 The polymathic owner of two well-regarded art galleries, Everett Ellin brought major figures in contemporary art from New York to Los Angeles during the late 1950s and early 1960s, invigorating the local art scene. Ellin also created a vital link between technology and museums, founding the Museum Computer Network in 1967. This archive contains both personal and professional papers, including business files, correspondence, clippings and offprints, and audio and video recordings related to Ellin's work. Subscribe to the podcast—hear from artists, writers, curators, and scholars about their work.